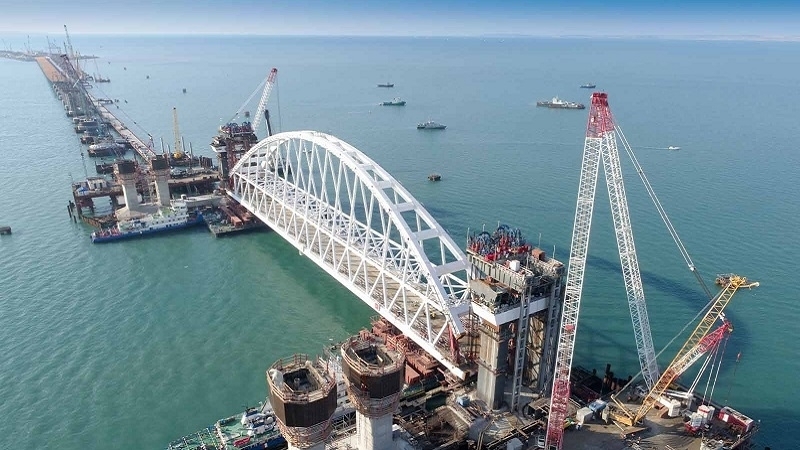 The construction of the bridge across the Kerch Strait has already been financed by almost 70%, according to the chief engineer of Russian federal state-funded institution Uprdor "Taman" of the federal road agency Rosavtodor Yuri Safonov. “Since the signing of the state contract in February 2015, the construction has been financed by more than 150 billion rubles [about 2.59 billion dollars - almost 70% of the contract amount -Ed. ]”, Safonov said. Moreover, the chief engineer assured that the construction of the bridge will meet the specified time-limits and estimated costs, as well as quality requirements. Reference: The total cost of state contracts for the design and construction of a bridge across the Kerch Strait is 228 billion rubles, which is about 3.94 billion dollars.